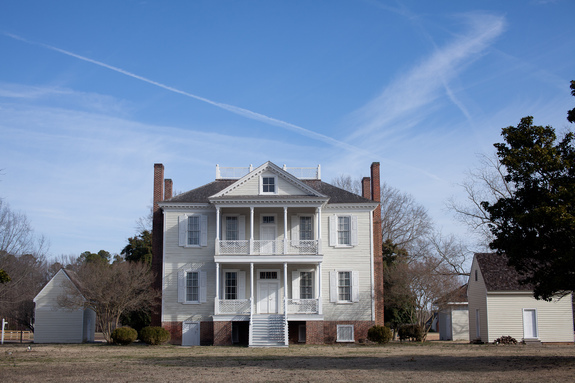 Restored Federal-era home of North Carolina Governor David Stone (1770-1818), located four miles west of Windsor, NC, the plantation complex offers unique insights into the late 18th- and 19th-century rural life in eastern North Carolina and the South. The centerpiece of the museum complex is the c. 1803 Hope Mansion, Governor Stone’s stunning example of an academic architectural combination of Federal and Georgian architecture. Restored and opened to the public since 1972, the mansion is meticulously furnished with an extensive collection of original period pieces. 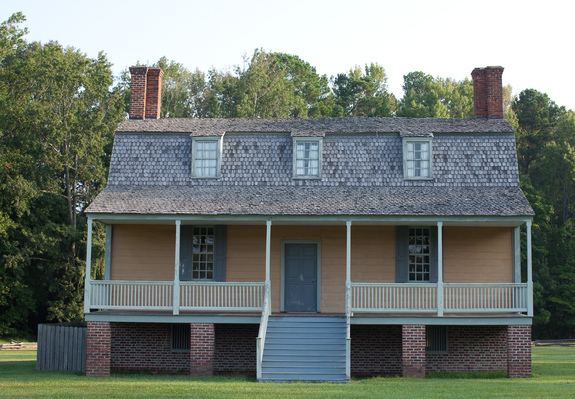 The 1763 King-Bazemore House represents a fine example of vernacular architecture. It is one of the few remaining examples in North Carolina of mid-eighteenth century “hall and parlor” design. The home has been restored and furnished based on the 1778 inventory of owner, William King. Both houses are on the National Register of Historic Places. Out of County Students and chaperones are $8.00 each and includes grounds activities. 10% discount for AAA members and groups of 25 or more. Please call in at least 48 hours in advance for reservations. Catered lunches are available at an additional charge for groups of 25 or more. Last tour goes out at 3:15.